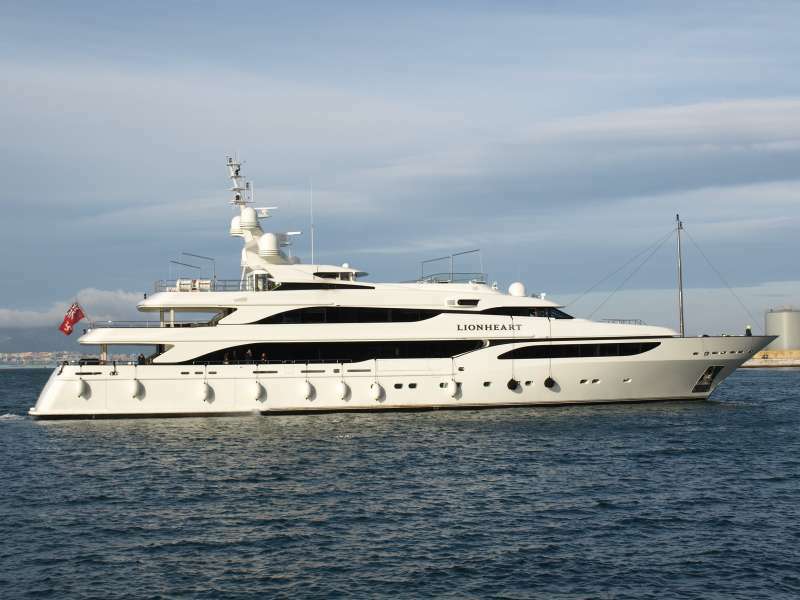 LIONESS V (ex Lionheart) is amongst the most beautiful and important charter yachts built by the renowned Italian shipyard Benetti. 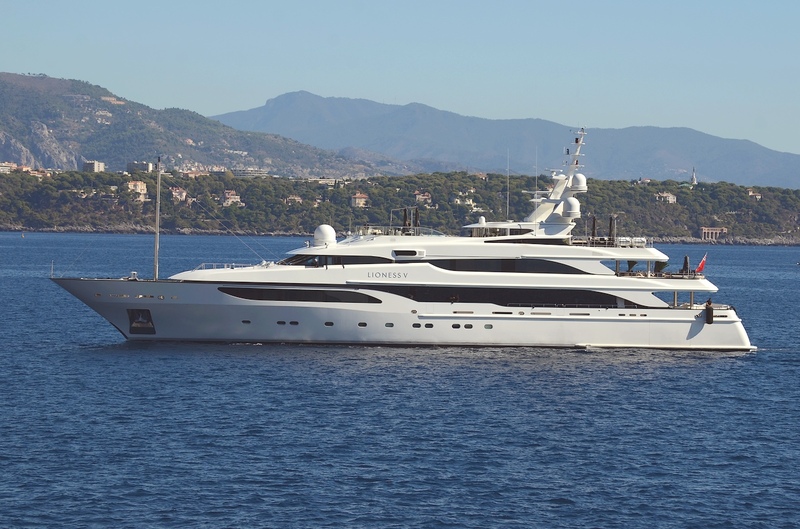 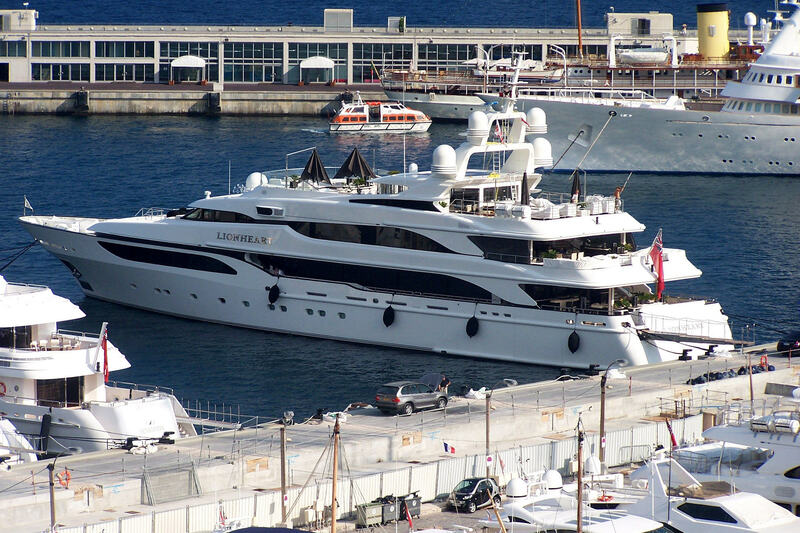 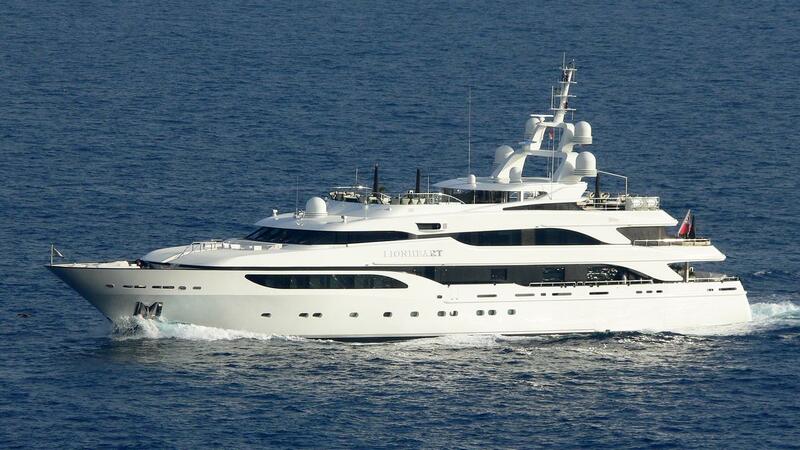 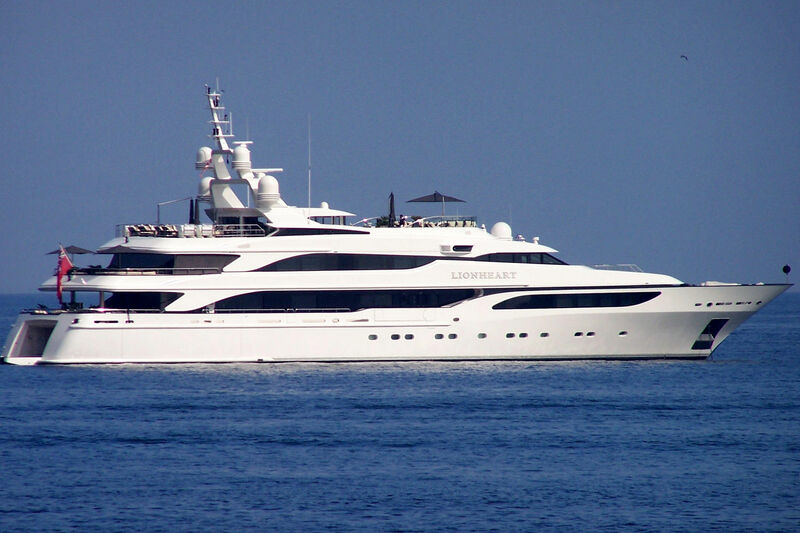 She was designed by Stefano Natucci for exteriors, Argent Design for interiors and launched in 2006. 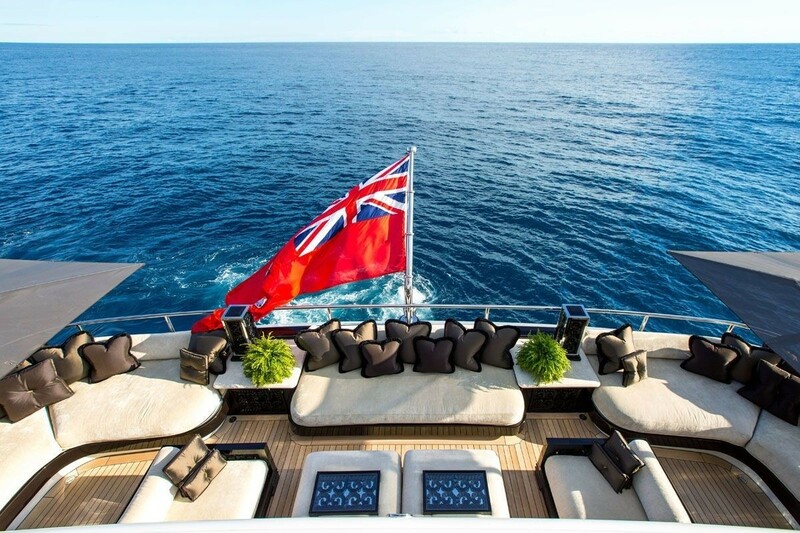 LIONESS V boasts sumptuous interiors and amazing exterior deck areas for relaxation or social get-togethers with friends and family. 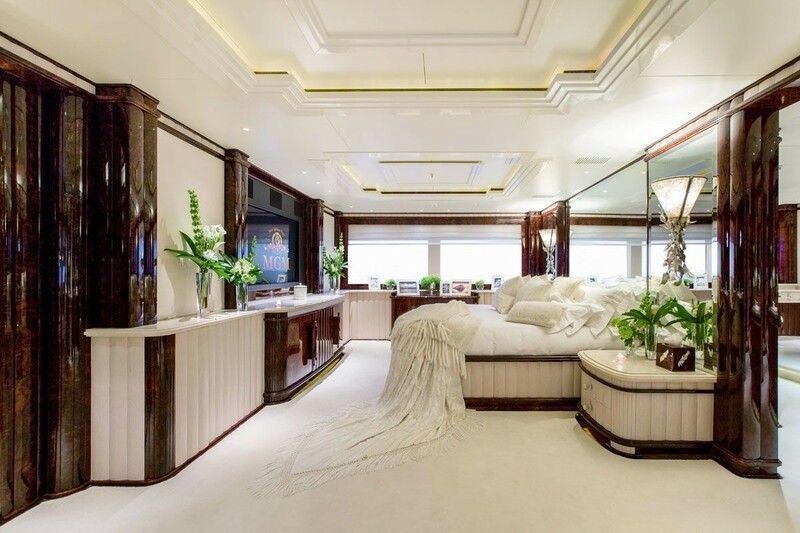 Accommodation on board LIONESS V is spread over six elegant and spacious staterooms that include one master suite, three double suites, and two twin suites. 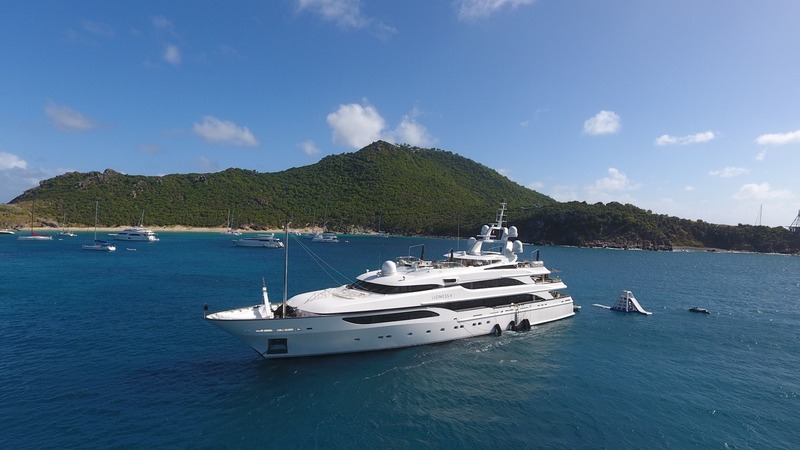 Owner, guests and the yacht are services by a professional and well-trained crew of 18, who are accommodated in separate crew quarters. 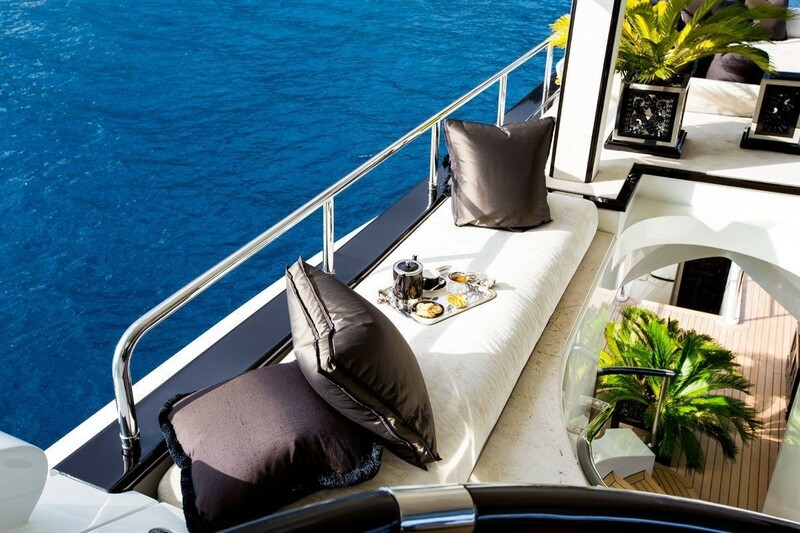 One of the most important features of the yacht is her elevated pool area with imposing stone steps and plenty of lavish seating/lounging possibilities around. 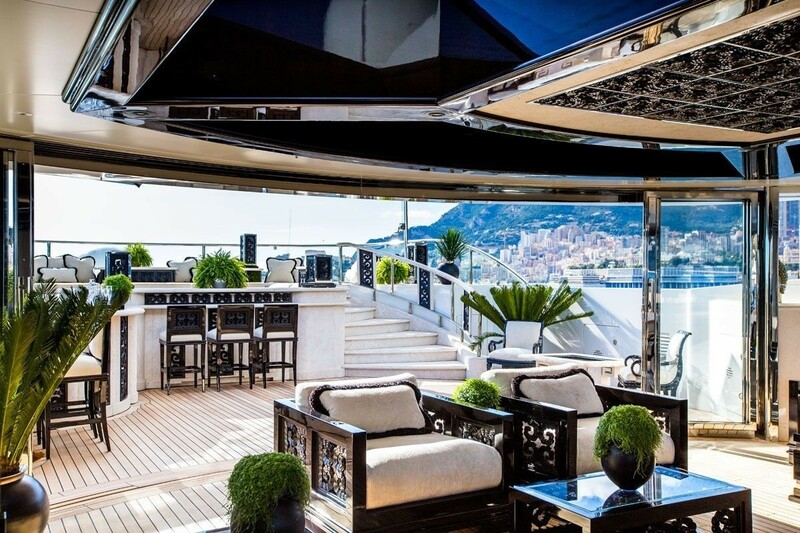 This area also features a full bar filled with refreshing drinks and nibbles. 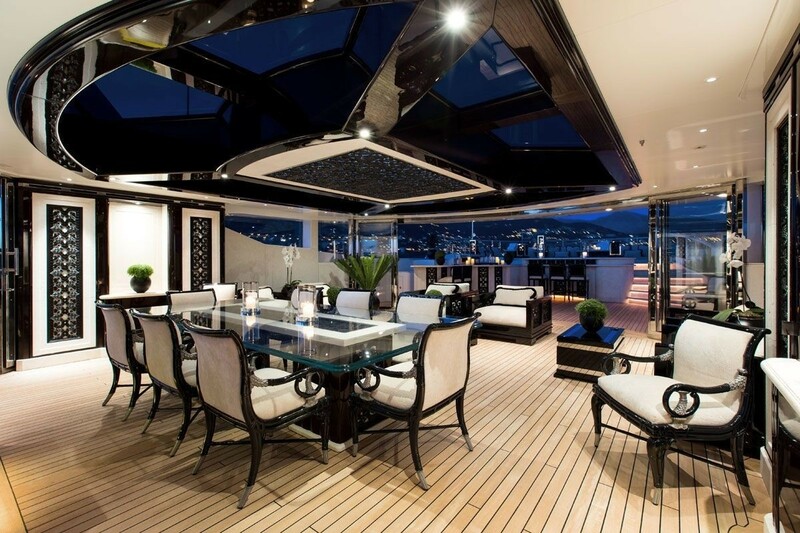 The bridge deck also features another full bar and a fantastic dining option for up to 14 people. 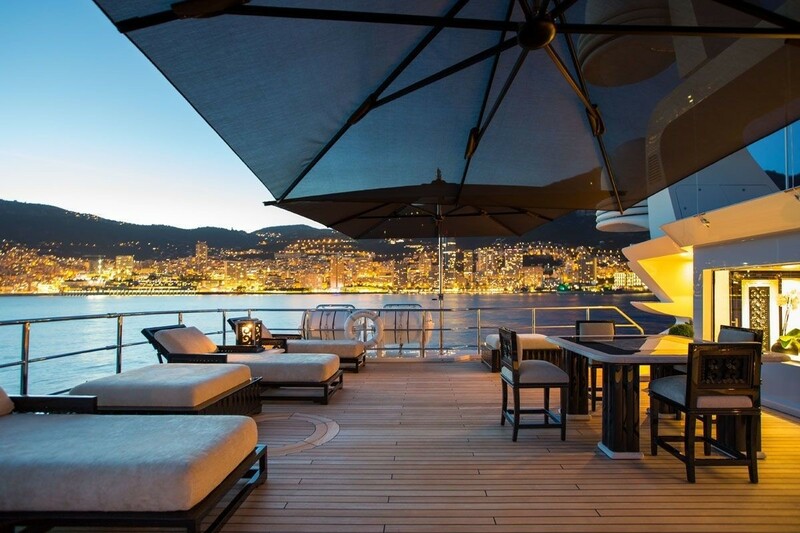 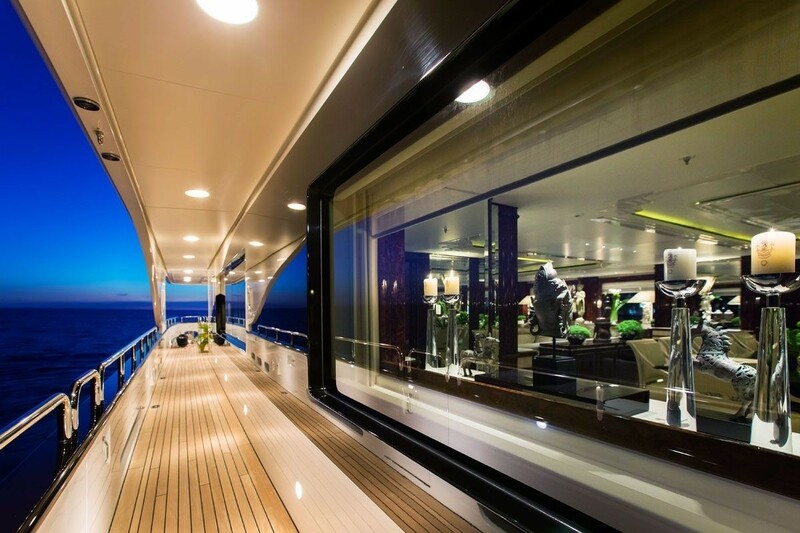 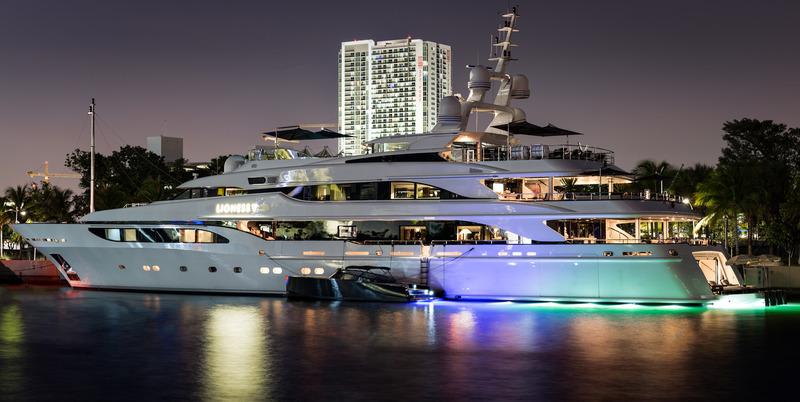 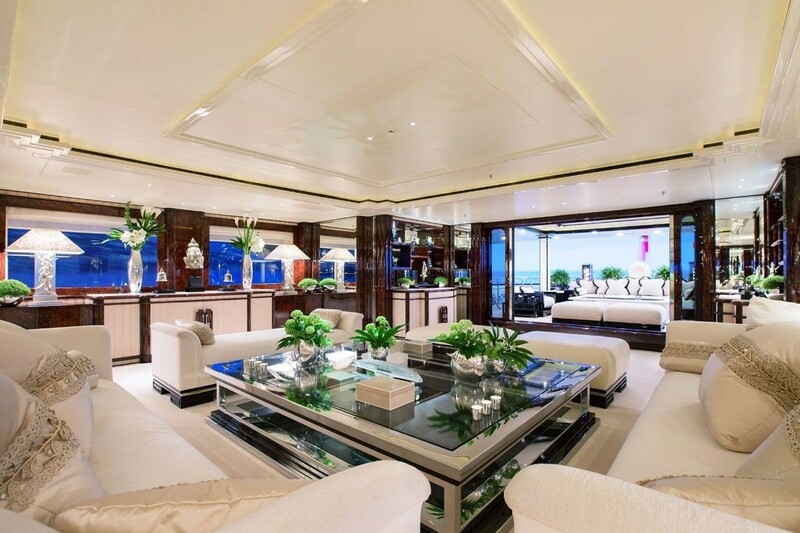 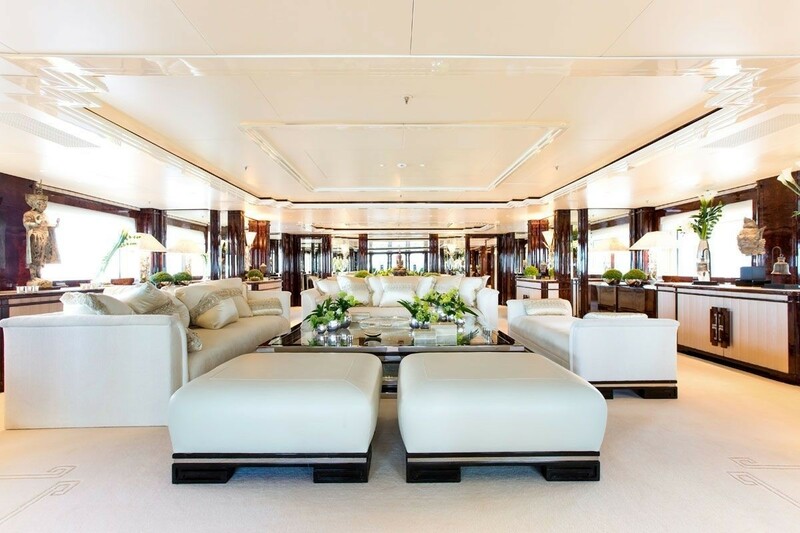 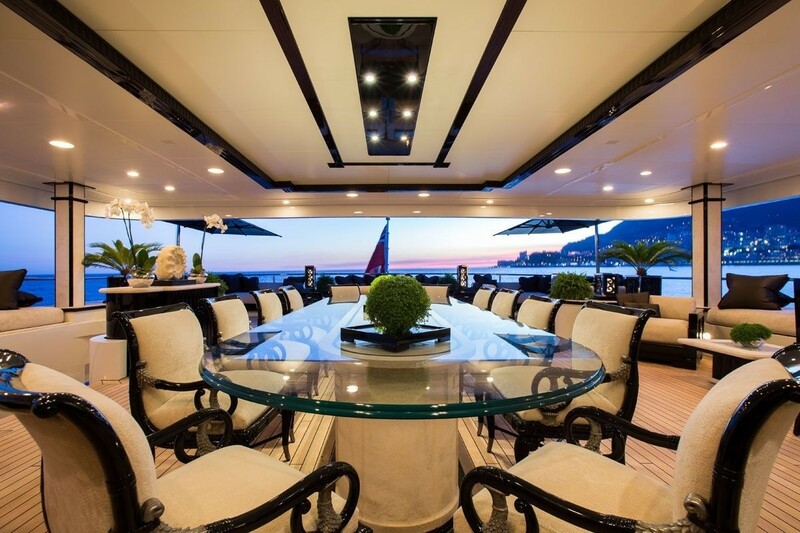 There are additional seating arrangements here, as well as ornate chairs and sculptures to create a lavish and luxurious atmosphere, which is carried throughout the entire yacht. 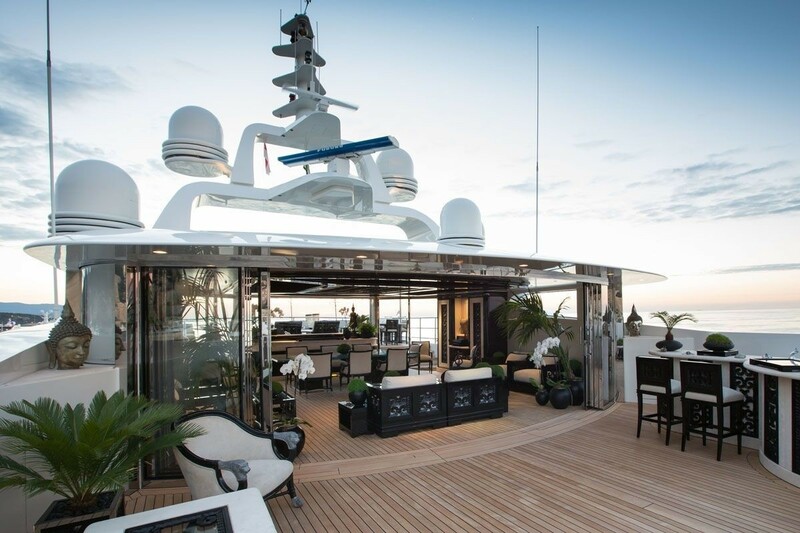 The adjacent bridge deck saloon offers yet another bar, a smaller dining table and a popular media room for kids and young at heart. 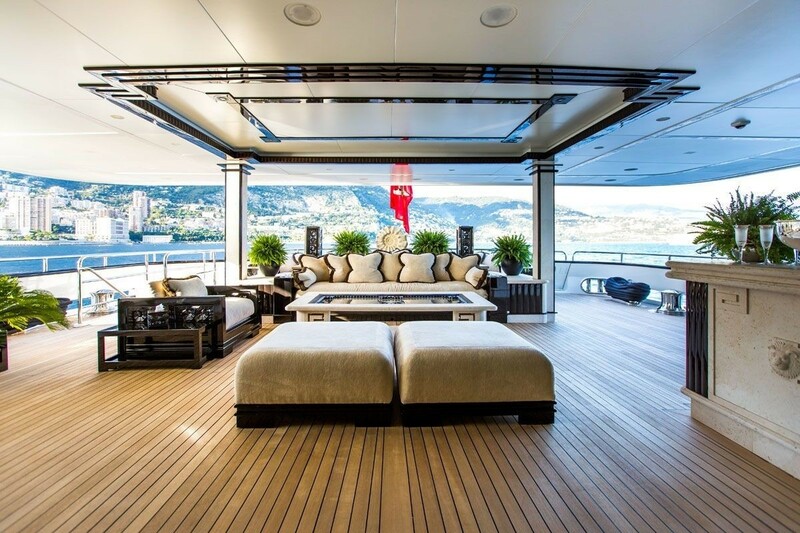 Another sunbathing platform is situated forward of the bridge. 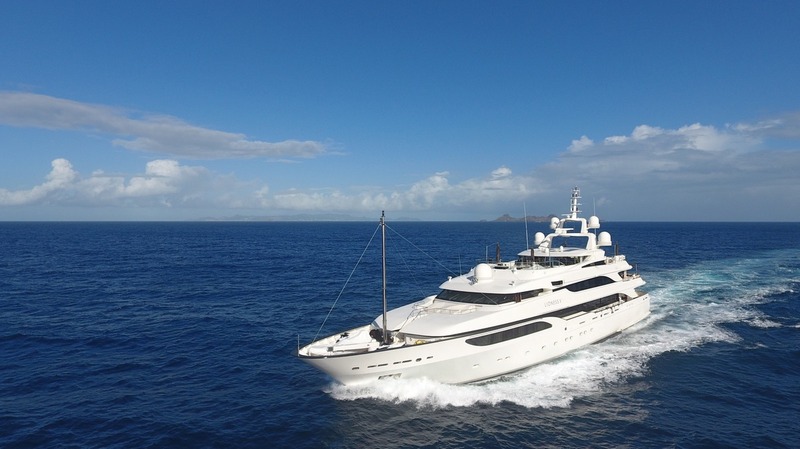 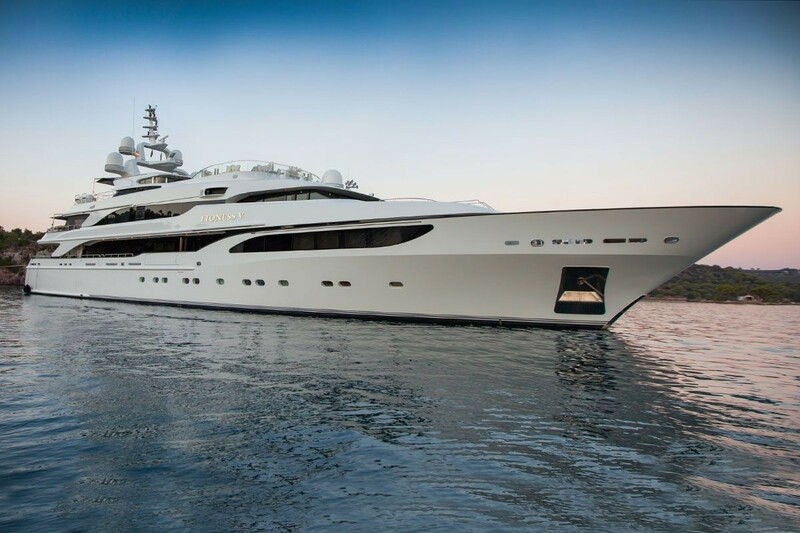 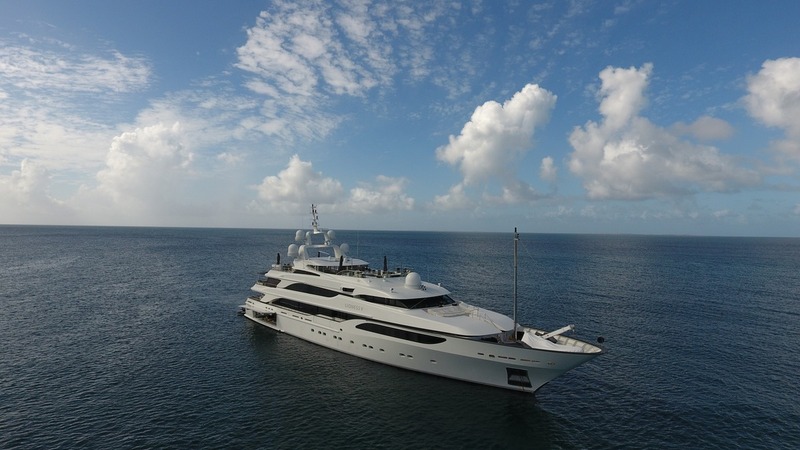 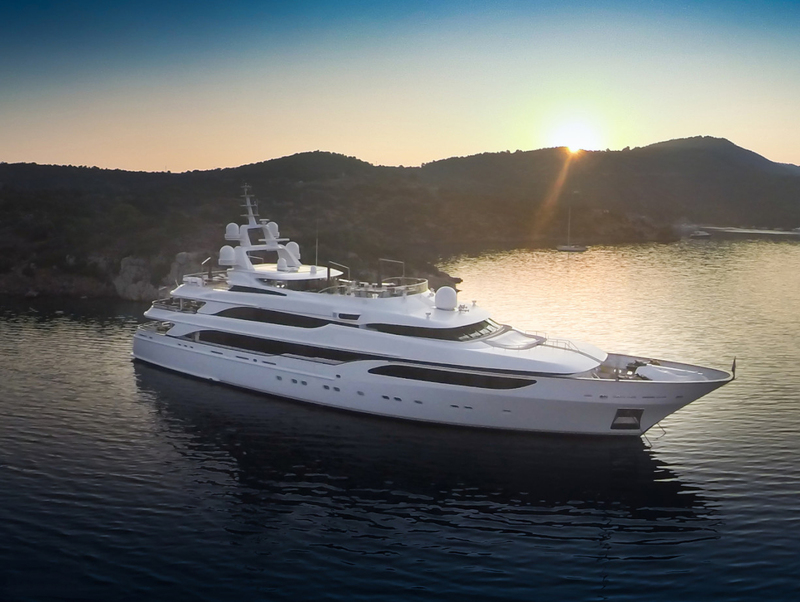 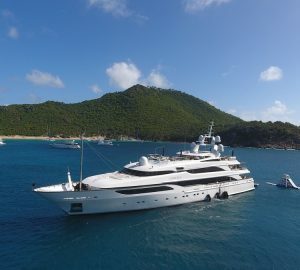 Charter guests will appreciate the spacious swimming platform easily accessible from the main deck, boasting a gymnasium, hammam as well well as a garage hosting a tender and a great selection of water toys. 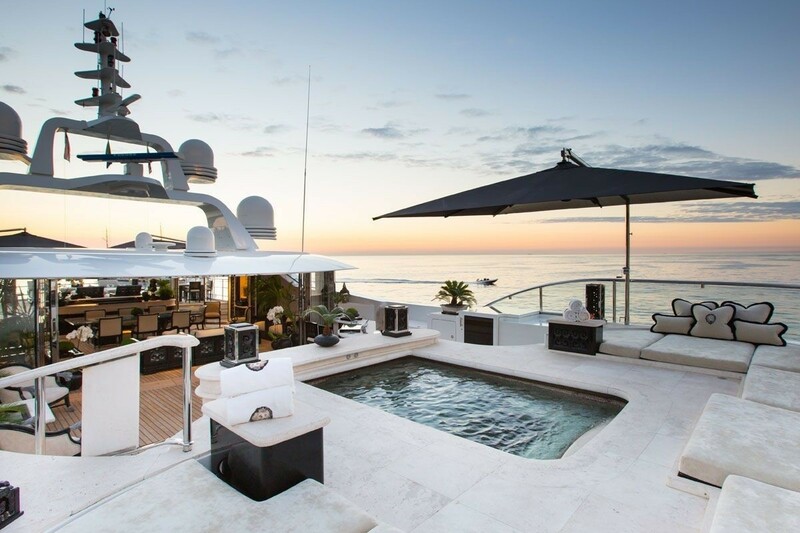 These include a Novurania 750 DL tender, another crew tender, two jet skis, two sea bobs, an inflatable slide as well as additional inflatable and towable toys. 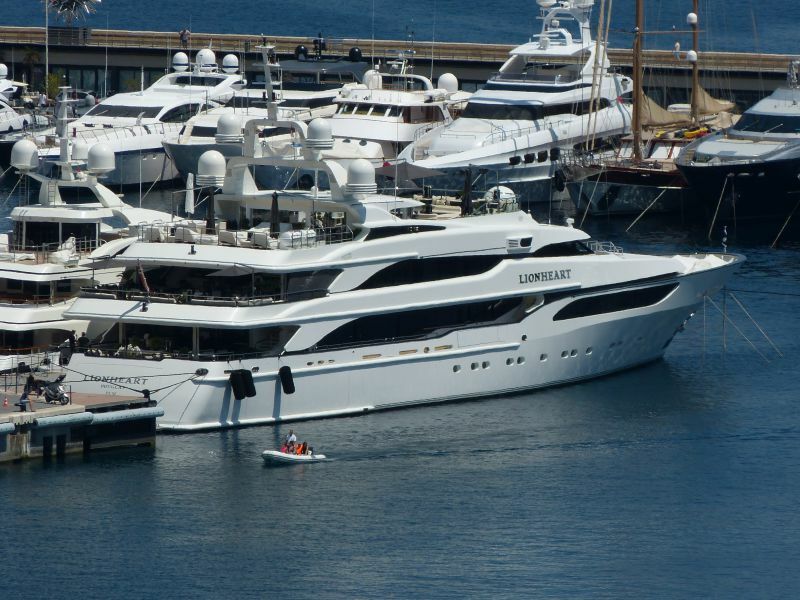 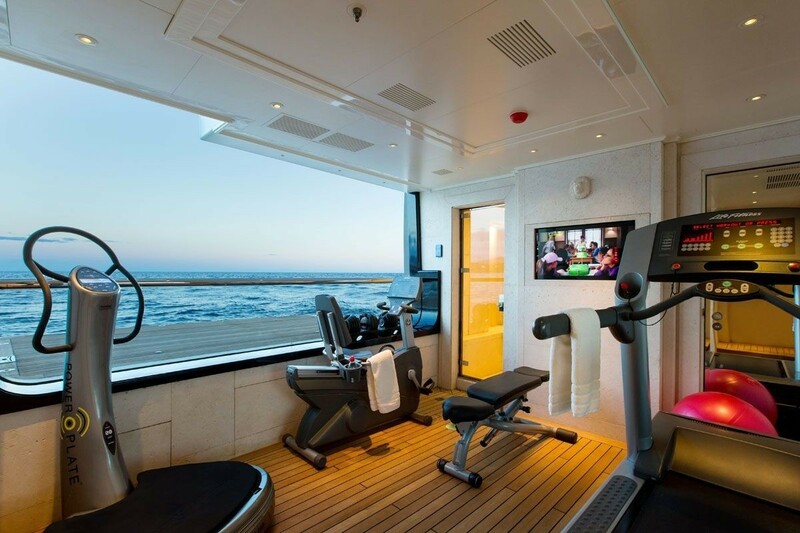 For golf enthusiasts, the yacht is equipped with a Tee-it golf machine situated on the sun-deck aft. 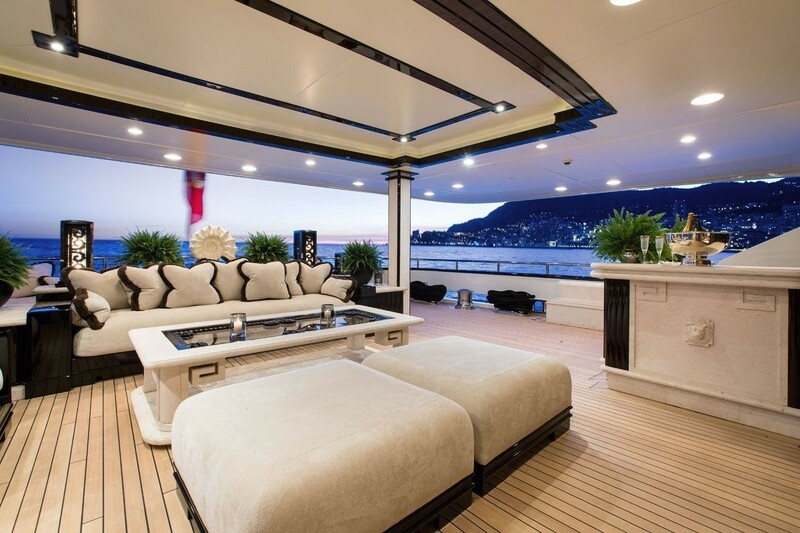 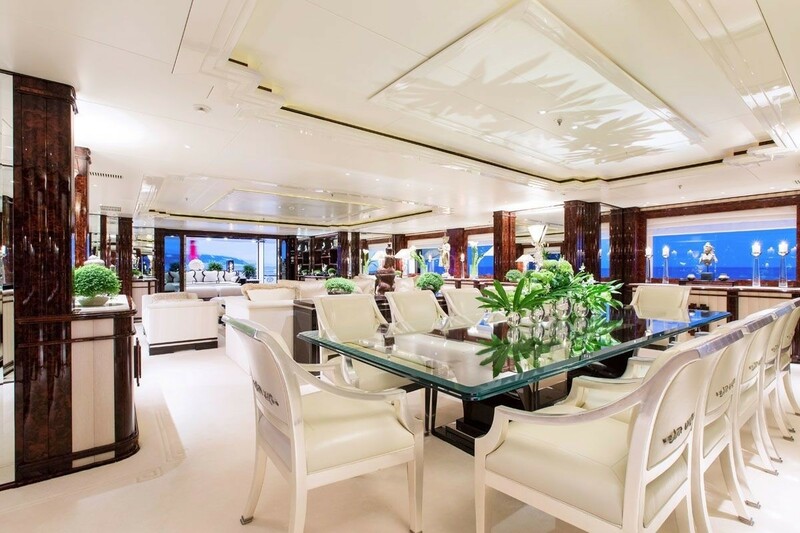 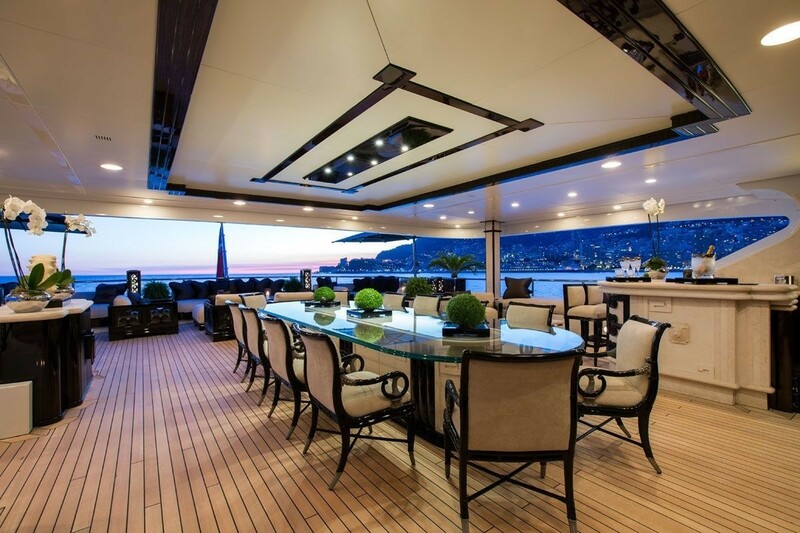 LIONESS V's main deck offers a spacious seating area with a fully-equipped bar; adjacent is a more formal main salon and a dining area for twelve guests. 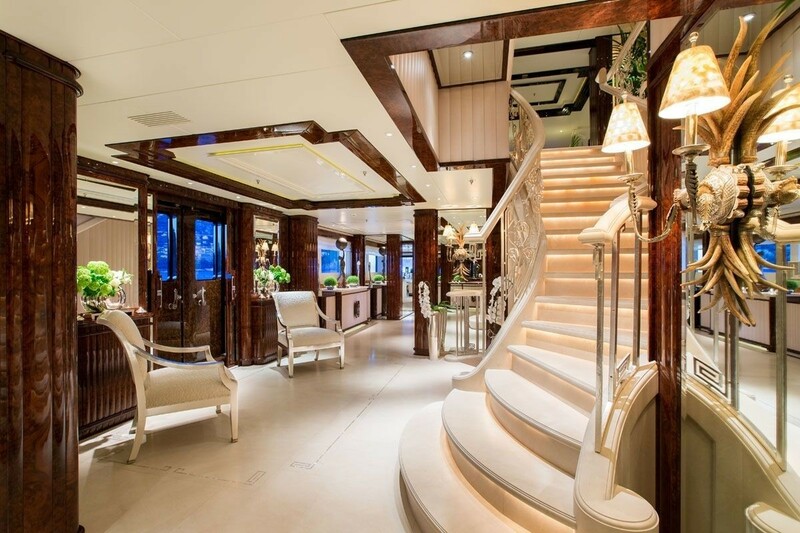 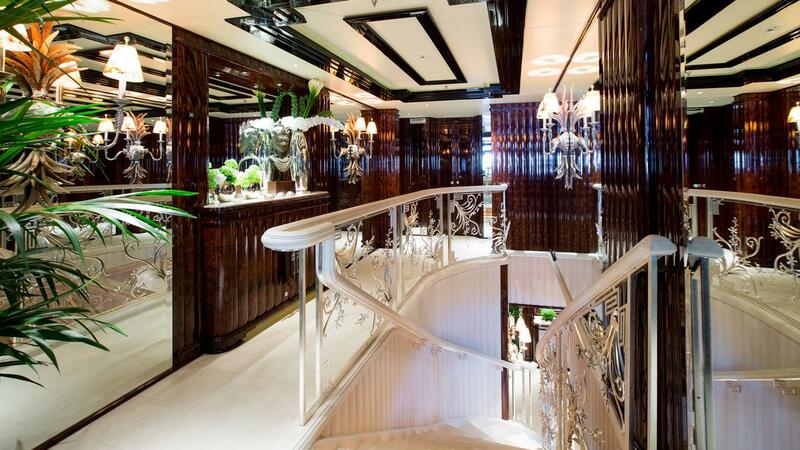 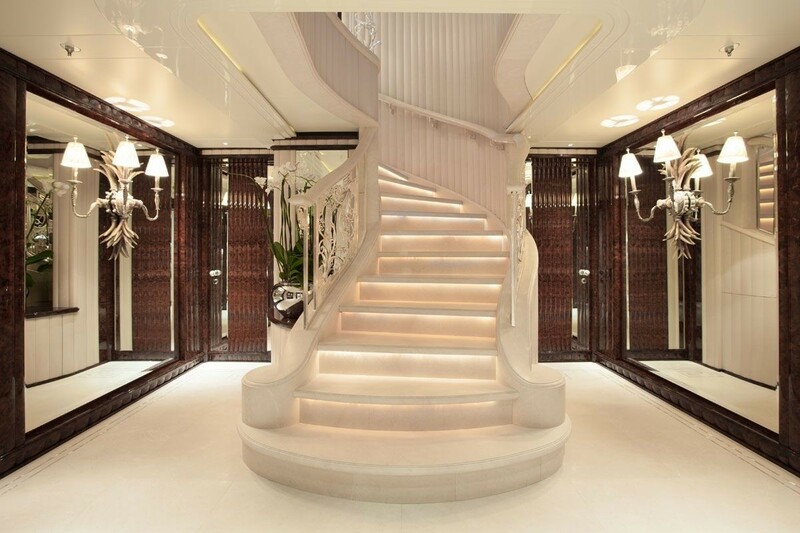 From here there is a beautiful lobby that boasts a stunning sweeping staircase, and also leads to the Owner's study located to port and an onboard cinema to starboard. 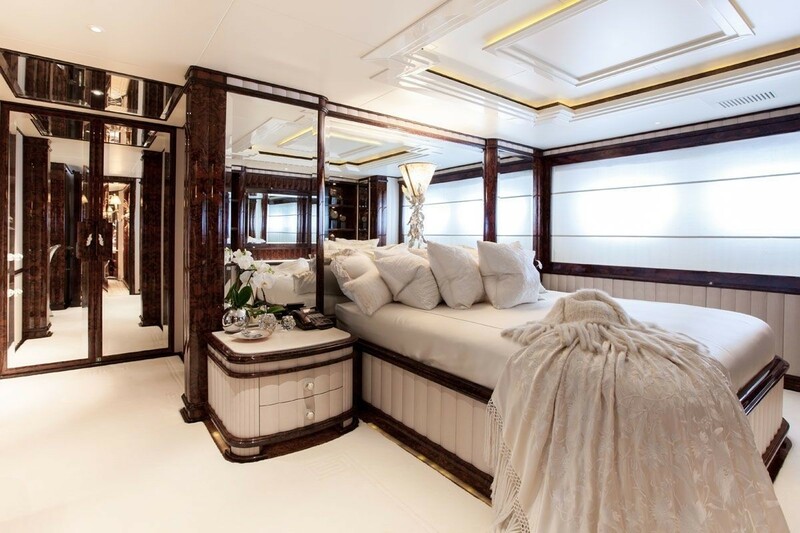 Located further forward is the master stateroom, boasting a lounge area, walk-through wardrobes and a luxurious en suite bathroom with his and her access. 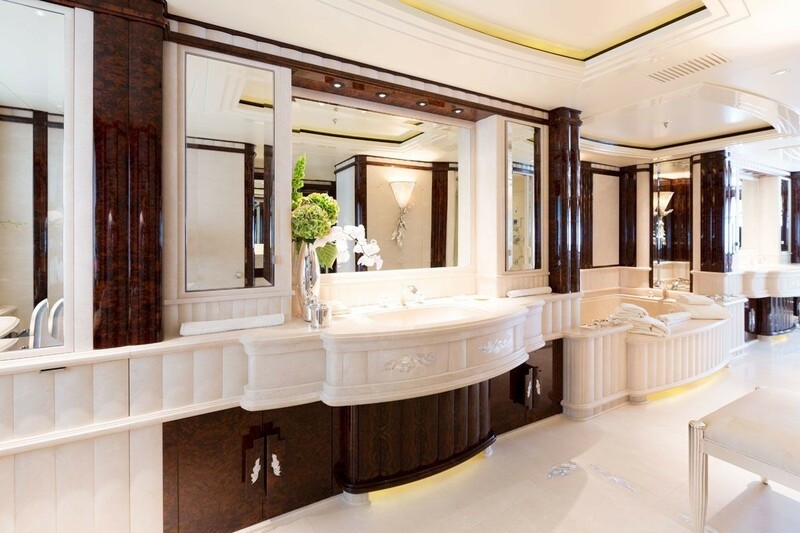 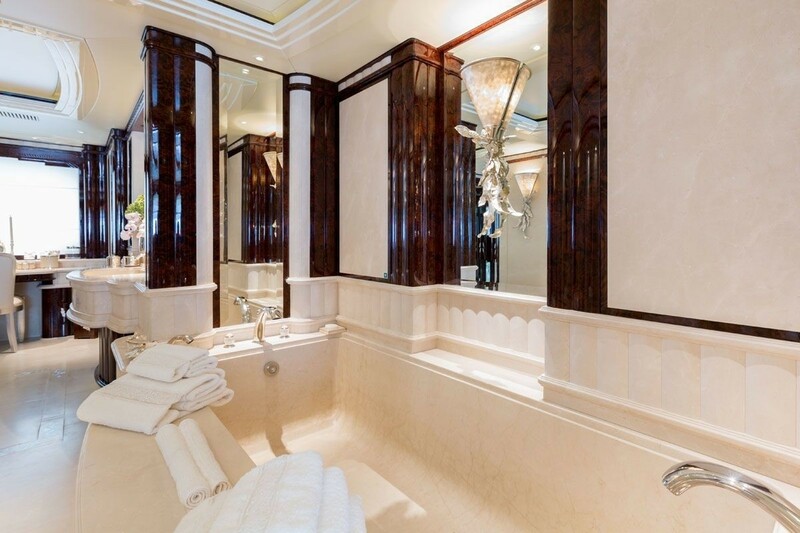 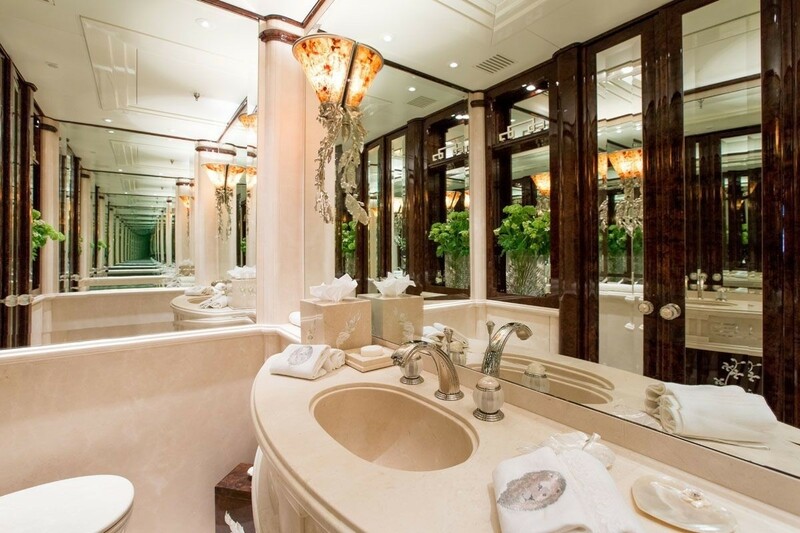 The bathroom features fine stone with the mother of pearl inlays, creating a truly luxurious feel. 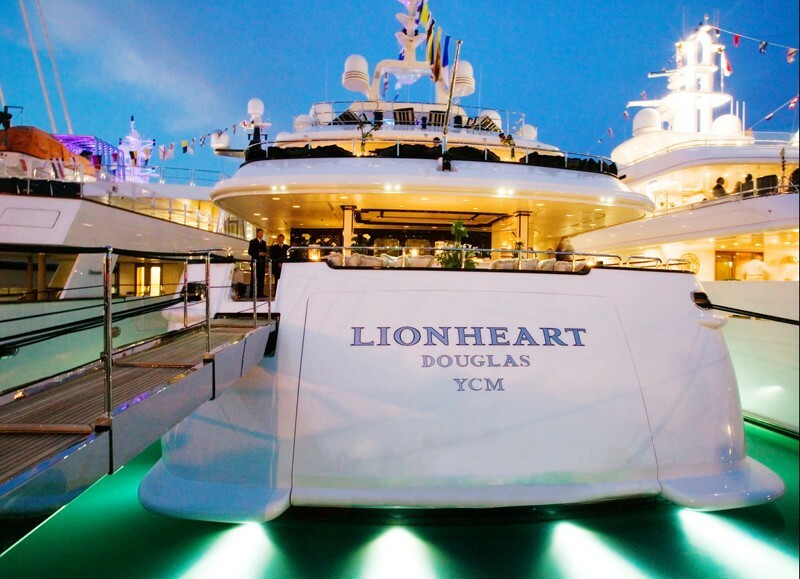 LIONESS V was constructed to MCA and Lloyds Register requirements. 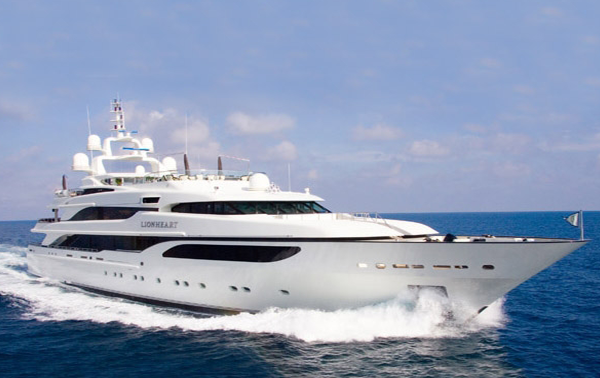 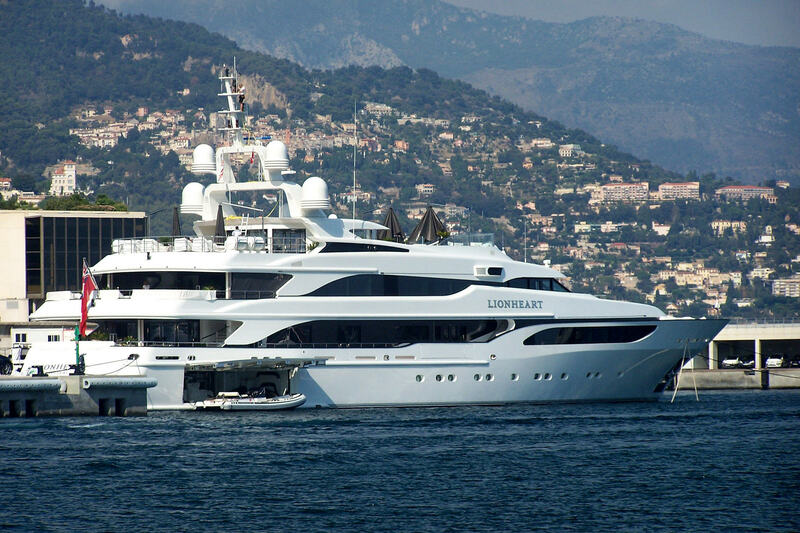 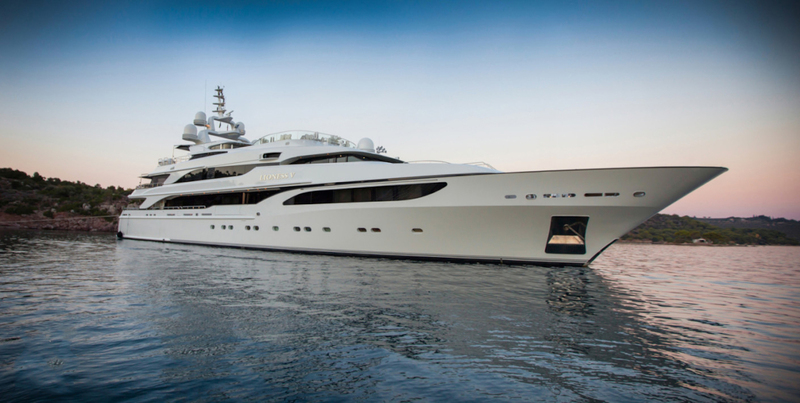 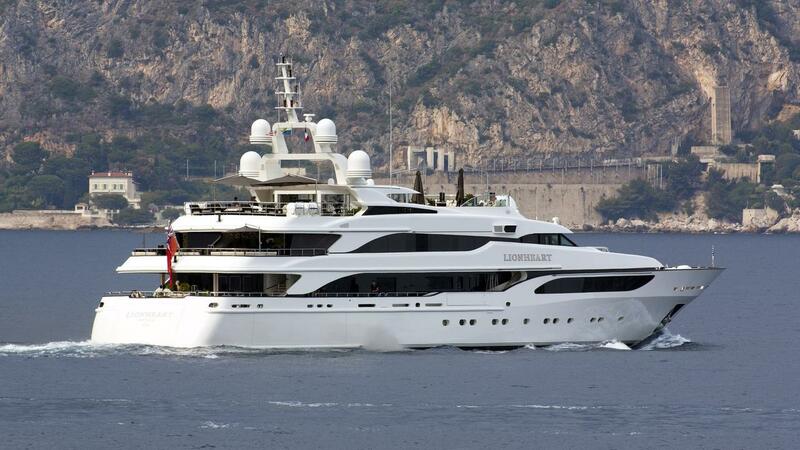 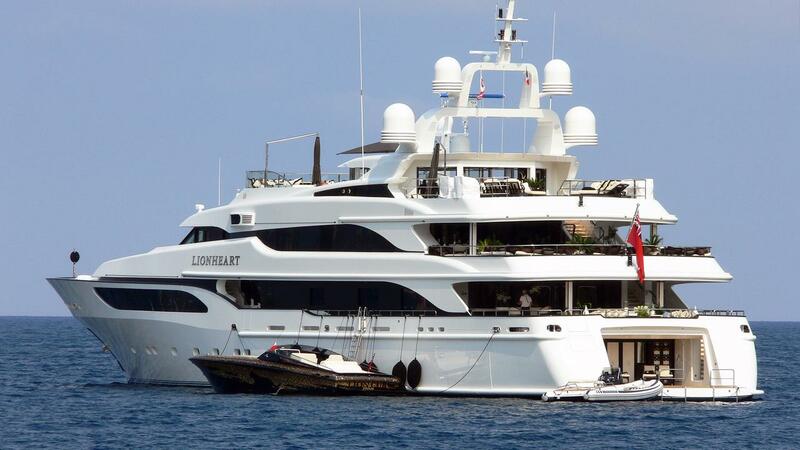 Powered by two Caterpillar 2,258HP engines, she can reach a maximum speed of 15 knots and cruise at 14 knots. 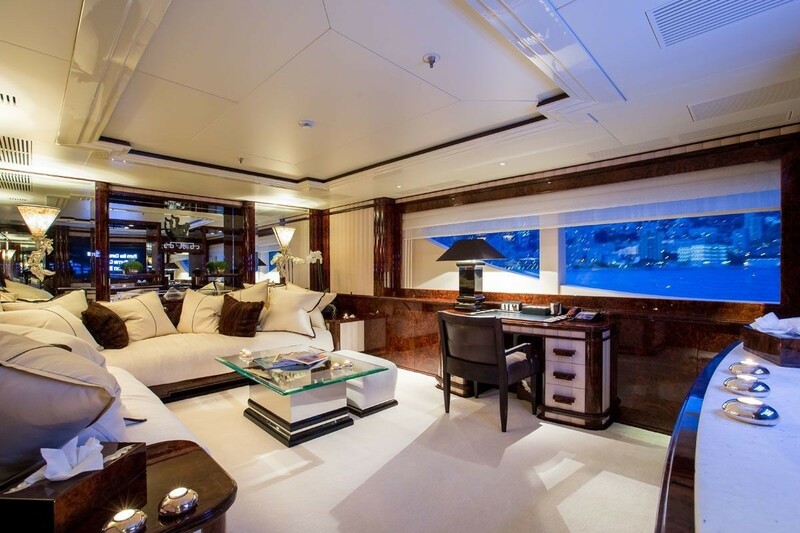 Accommodation on board LIONESS includes one master stateroom, three double suites and two twin suites. 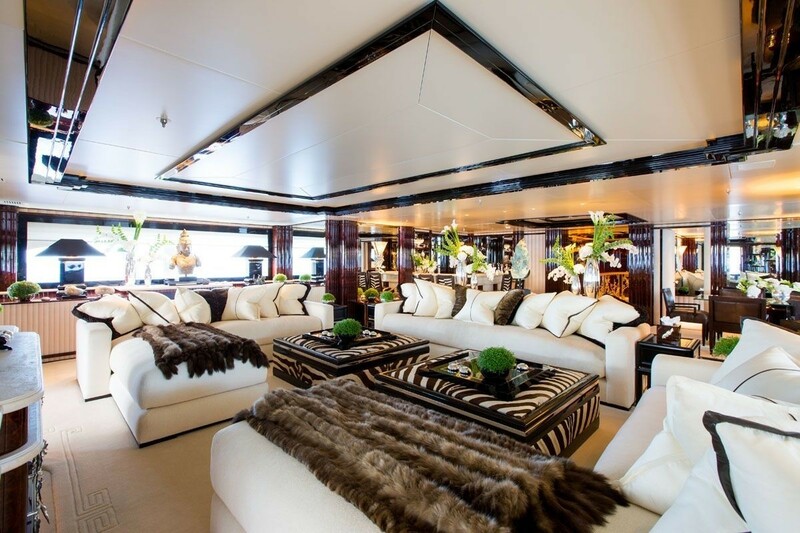 All cabins boast en suite facilities, lavish decor and deluxe amenities.